Health Care Is Ripe for Disruption—Are We Ready for the Tipping Point? 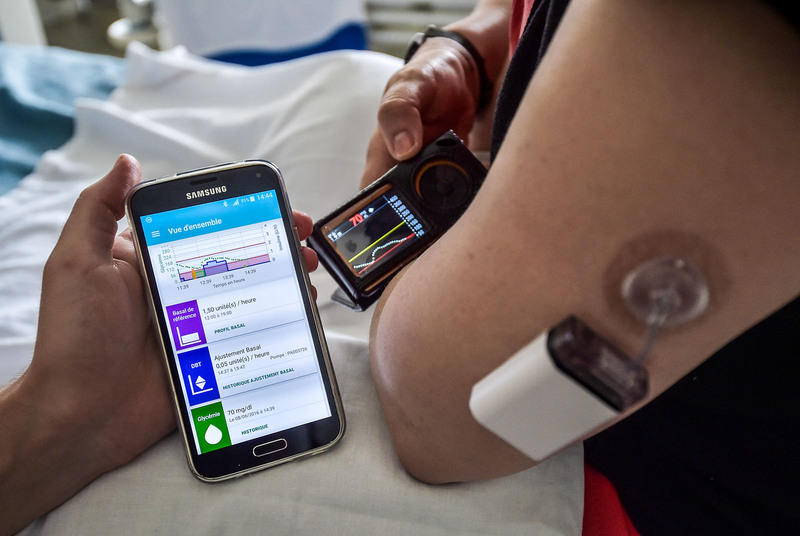 A diabetic patient holds a smartphone with an application which automatically calculates the needs for insulin at a hospital in France. Health care, like many other industries, has undergone a massive transformation over the past decade, with huge changes in social norms and consumer behaviors. Ten years ago, it was unheard of to rent a stranger’s apartment instead of booking a hotel room, to publicly post your kids’ baby pictures for the world to see, or to get out of a taxi without opening your wallet. And yet here we are. Technological advancements, inefficiencies in supply, and shifts in consumer behaviors have wrought fundamental changes in industry after industry—retail, travel, entertainment, and yes, health care. The incumbents in those industries seldom saw the change coming. They recognized the threat these changes posed to their core business but were unable to break out of their mental paradigms about how they traditionally win in the marketplace to alter their course. Walmart recognized the threat Amazon posed, but it tried to solve the problem like a large retailer rather than as a digitally native company. Identifying the next big tipping point comes down to pattern recognition. An industry is ripe for disruptive innovation when a number of conditions collide. First, you’ll see unhappy consumers, facing many hassles or frustrations, and you’ll also see waste or inefficiencies in the supply side of the system. Then, you need a catalyst. It could be a regulatory push, a new technological advancement, or a shift in social norms to tip the industry and create conditions ripe for disruption. We are seeing this dangerous mix of conditions right now in health care. Regulatory changes are enabling new reimbursement models; new data and insights promise to revolutionize diagnostic capabilities and to personalize care; and consumers are beginning to expect their doctors and health plans to offer the same convenience and personalization that online shopping or ordering an Uber does. Are We Ready for the Tipping Point? There hasn’t actually been much movement in health care. The Centers for Medicare and Medicaid Services announced that by 2018, 50 percent of all payments must be tied to value. We are not yet seeing wholesale movement in that direction, particularly by incumbents, but we are seeing startups recognize the opportunity and enter. Take Cityblock, a startup launched by Alphabet—Google’s parent company—that offers innovative, team-based primary care, behavioral health, and social services to Medicare and Medicaid patients. Imagine the implications of Alphabet/Google providing value-based care to low-income patients with severe chronic diseases, harnessing the power of the data graph they already own, and matching that to these new data streams. That could be a significant disruptor. The changes coming to health care are immutable. The industry will be disrupted from outside if not from within. Another metric to watch—that also suggests there hasn’t been enough movement in health care—is Net Promoter Score measures, which is a management tool used to gauge customer loyalty and serves as an alternative to traditional customer satisfaction surveys. Health care companies—health plans and primary care physicians— typically score in the high single digits/low double digits. And they are increasingly competing against retail and technology companies with scores in the high 60s or low 70s. Take Amazon, with a Net Promoter Score of 69. It’s playing an increasing role in health care with two notable developments, its partnership with Merck to do care management via Alexa and 1492’s foray into health care technology. That isn’t even a fair fight. The changes we see coming to health care are immutable forces; the industry will be disrupted from the outside if not from within. Players in the industry will need to make purposeful business decisions—identifying where the sources of economic value and strategic control will be and ensuring they have the right assets and capabilities to secure them. Click here to watch the full main stage session, “Industry Interrupted: Why Healthcare is Ripe for Disruption,” from this year’s Oliver Wyman Health Innovation Summit. Helen Leis is a partner in Oliver Wyman’s Health & Life Sciences practice and co-head of the New York Office. She provides strategic planning, large-scale transformation, and organization alignment advice to clients in healthcare (payers, providers, enablers), public health, consumer companies, and private equity. In healthcare, Helen focuses on the shift to consumer-centric business models. Will Consumers Ever Let Tech Companies Control Their Health Care?